Trieste, July 2017 – illycaffè, global leader in the sector of high-quality coffee, announces the 9 countries participating in the second edition of the Ernesto Illy International Coffee Award, the recognition given to coffee growers distinguished by their excellence in terms of sustainable quality. 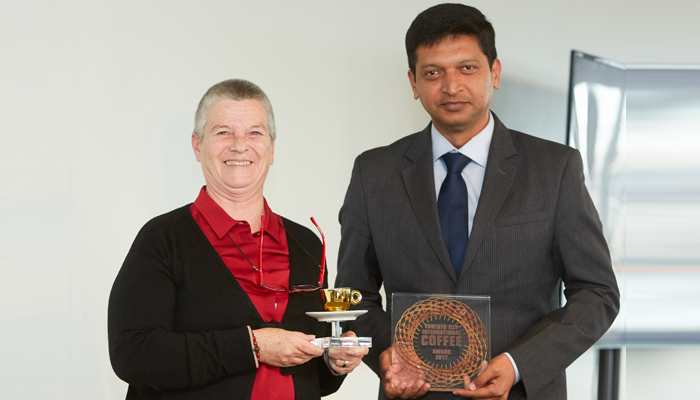 The award is designed to affirm the importance of working hand in hand with producers in order to continue following the dream of offering the best coffee to the world. Brazil, Colombia, Costa Rica, Ethiopia, Guatemala, Honduras, India, Nicaragua and Rwanda are the finalists chosen by illy’s quality control laboratory on the basis of the 2016/2017 season’s harvests. The three most representative lots from each country of origin will proceed to the finals, where 9 coffee finalists will be chosen: one per origin. The 9 coffees will then be tasted and evaluated by an independent international jury of experts who will select the “Best of the Best” from among the top harvests of the 2016/2017 season. The external jury will meet on October 16th, 2017 in New York at the United Nations to announce the 9 finalists and the winner.